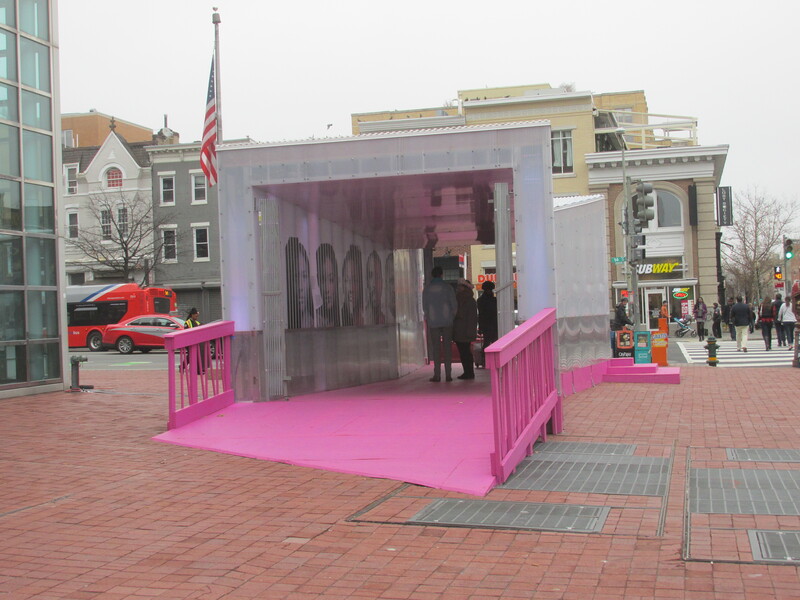 Interactive Art Installation Explores Human Behavior on City Streets | Park View, D.C.
« What Was Your Experience During the Women’s March This Weekend? 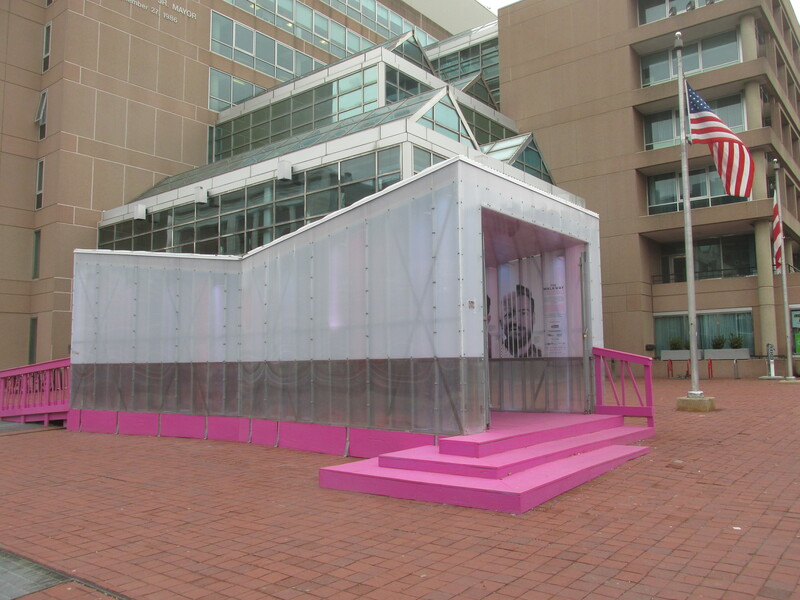 There is currently a public art exhibit on the corner of 14th and U streets in front of the Reeves Center. It is titled The Walkway and it is an interactive installation that is an exploration of human behavior towards others on city streets and in public spaces. 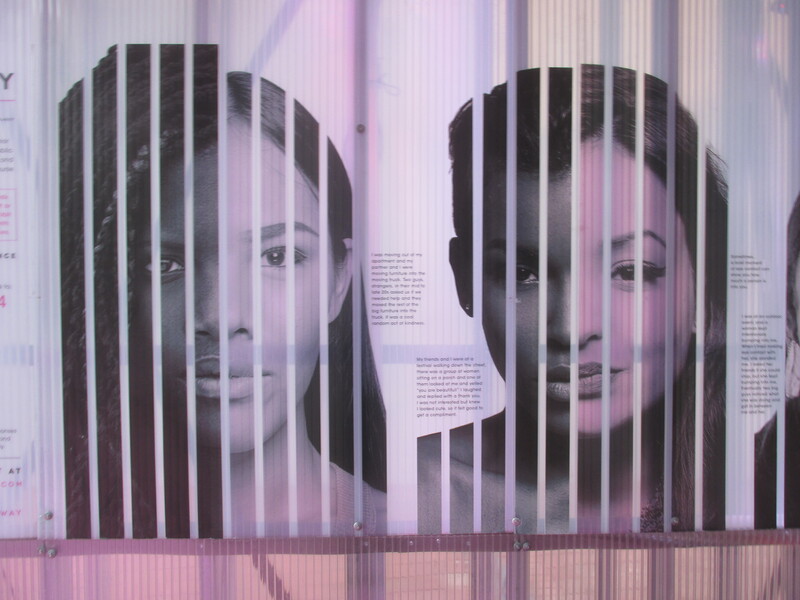 The art space consists of a tunnel with each side showing faces and statements of interactions that have been experienced in public. Some of the experiences shared are positive — others are negative, harassing, or hostile. 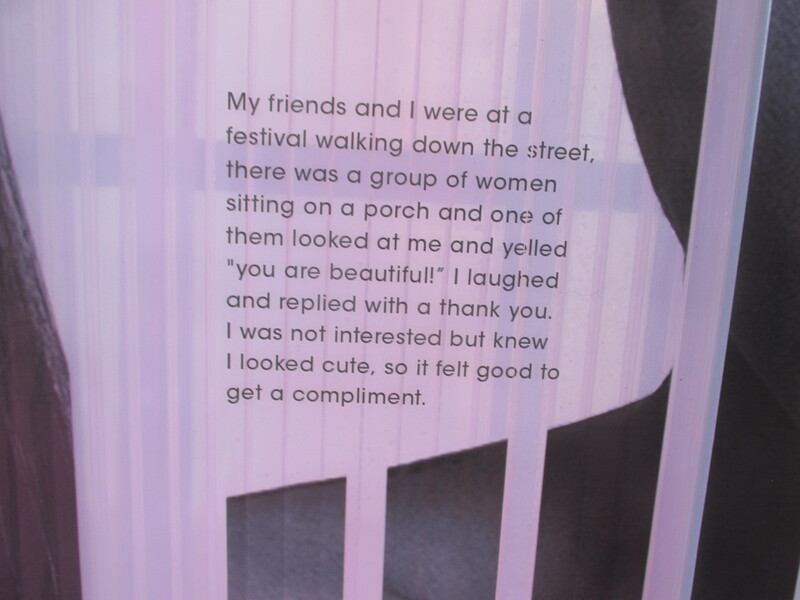 What I like about the experience is that it makes one reflect upon their own experiences and interactions in public spaces. There is also an online component which allows anyone to participate in the project, which is a collaboration between the D.C. Commission on the Arts and Humanities and the District Department of Transportation. Through the portal, they are collecting information regarding words, phrases and gestures that are used in public spaces to address others. This is a study to explore what people consider to be respectful, friendly, non-friendly or threatening interactions. While data collected will be used as part of an interactive exhibit, responses will be kept anonymous. This entry was posted on January 24, 2017 at 7:01 am and is filed under Art. You can subscribe via RSS 2.0 feed to this post's comments.